Childhood overweight and obesity are serious public health problems that require attention at all levels of society and in multiple sectors, settings and environments. Childhood obesity has serious health consequences and often leads to adult obesity and associated chronic diseases. 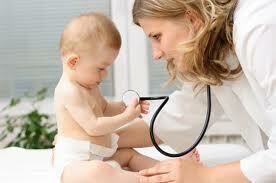 Health care professionals are in a position to influence childhood obesity. Professional development and effective messaging for health professionals have been identified as a need in many organizations and programs. To determine the need, interests and preferred delivery method for professional development related to early childhood obesity prevention, the Colorado Department of Public Health and Environment performed a needs assessment with a collaborative of health care professionals and a survey of health care professionals in Colorado. Click HERE to review or download the needs assessment.